I have three jewellery boxes. 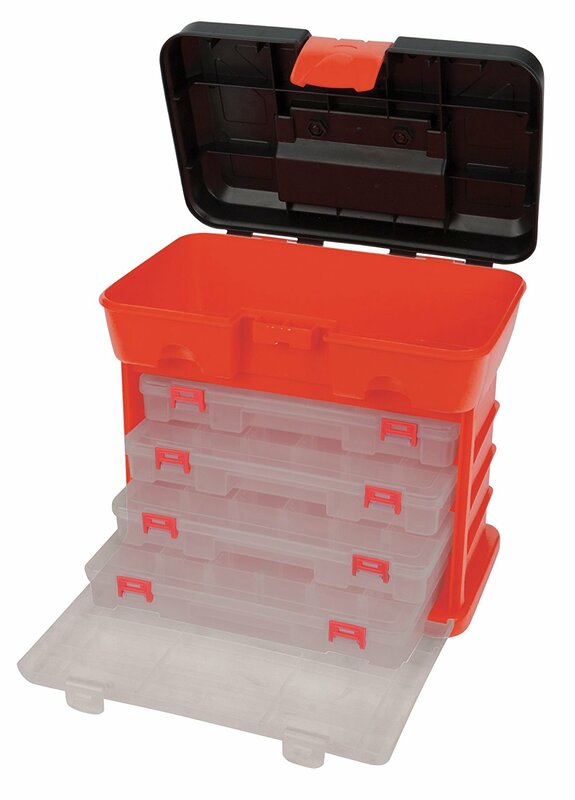 A big plastic one with plenty of little compartments, which holds my costume jewellery. It is actually a tool box from my local hardware store but it works perfectly. 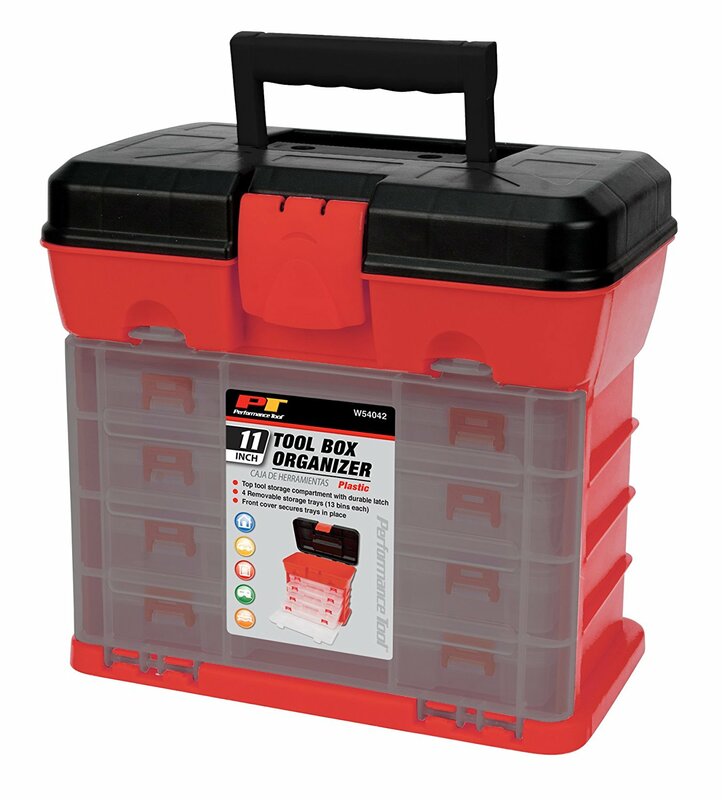 You can find so many toolboxes that are useful for all kinds of things apart from holding tools! 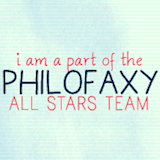 For example holding hair appliances, stationery, inks etc. 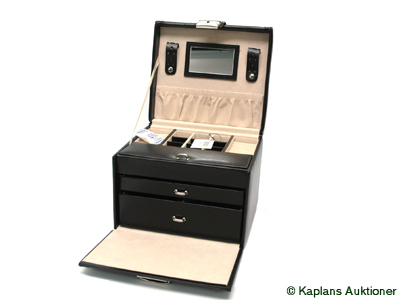 I also have a large-ish black leather jewellery box for my more expensive 9ct gold and sterling silver jewellery. Antique cameos, my Montblanc pens, my mother’s pearls, lockets belonging to both my grandmothers, my mother’s charm bracelet, my confirmation jewellery, my baby bib-pin and bracelet. Then for my fine jewellery, I have this one. It holds my most expensive jewellery and that with the most sentimental value. 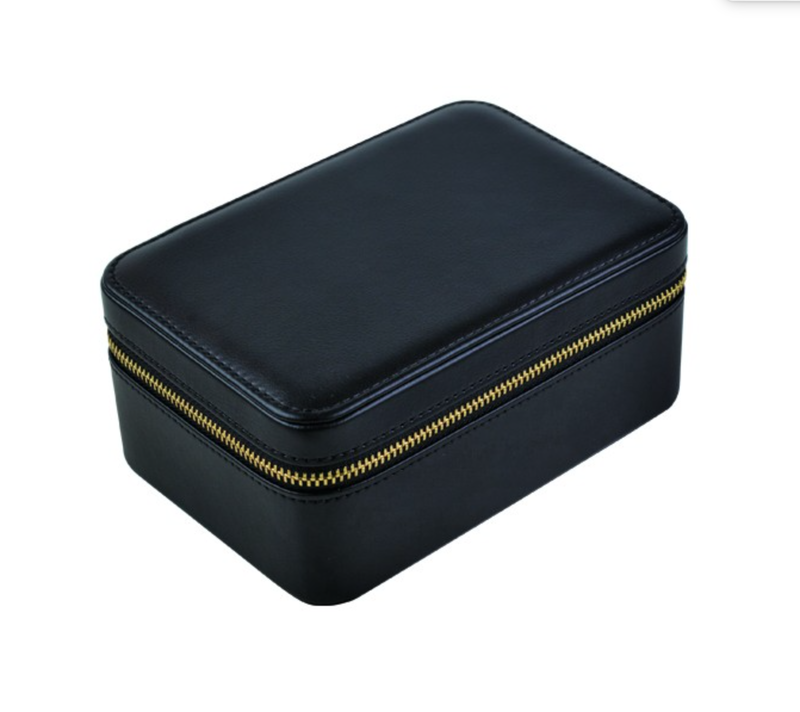 It is a leather Dyrberg Kern travel jewel box and was not pricey at all (especially as I bought it with a 30% discount). I have had it a while and the quality is really good. It is small and light but so well designed that it fits a surprising amount. The only downside is that it is not lockable. 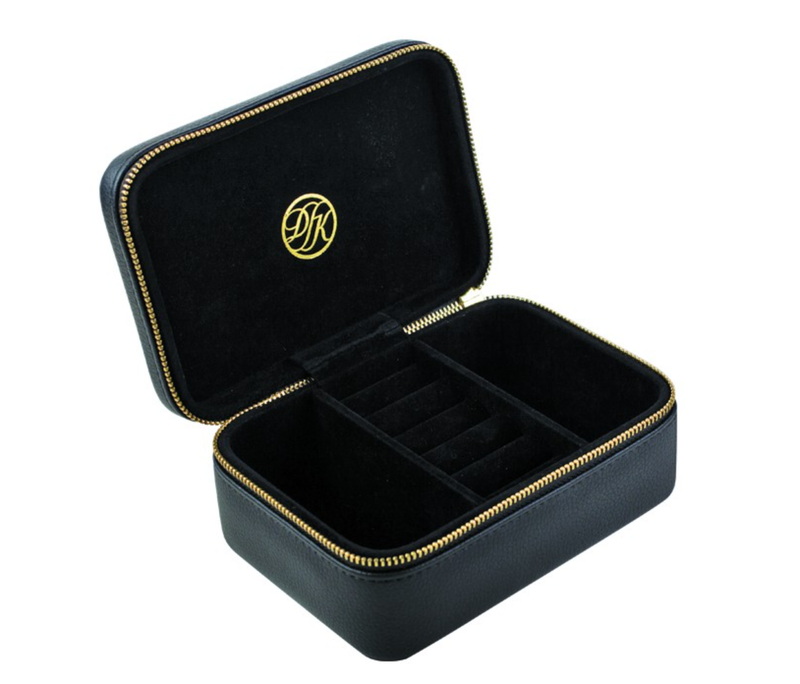 It fits easily in a safe, is inconspicuous and protects your jewellery really well with its soft velvety interior. 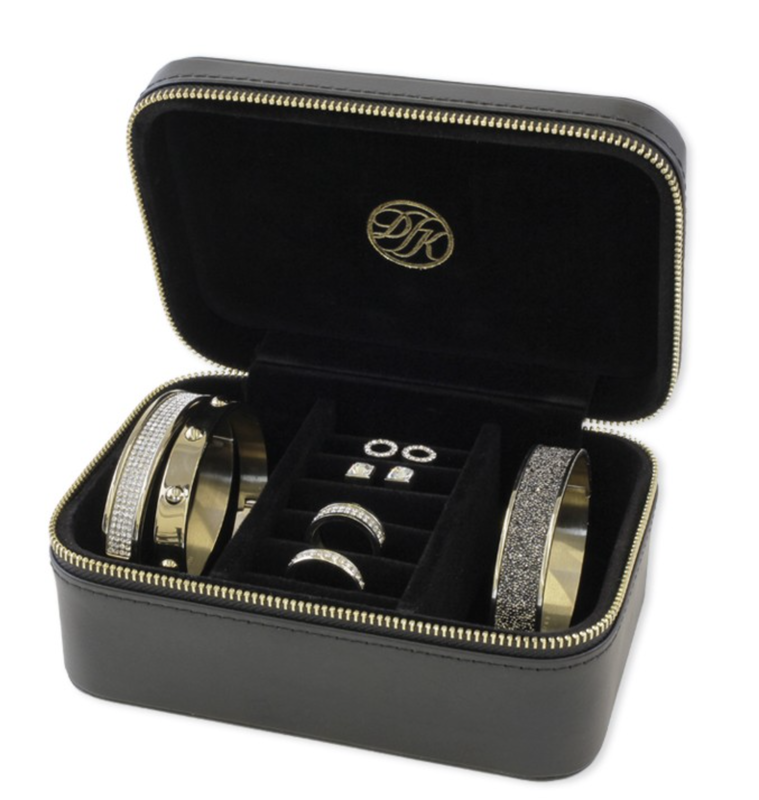 You can fit two rings/two pairs of earrings side by side in the ring/earring slots, bracelets can stand up in the deep compartments on either side, and it comes with a small drawstring pouch which you can use for necklaces that may tangle.